I can't even begin to understand the emotions and darkness surrounding this book. I've never experienced this type of sadness and depression, and with God on my side, I hope I never do. The subject of self harm is one that makes almost everybody uncomfortable, but that's because it's never talked about. 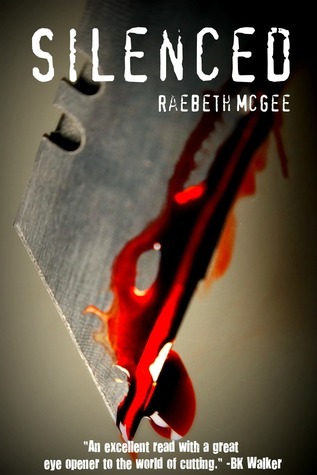 This was a brave undertaking and I admire Raebeth for it, especially since she has a real personal connection to it. 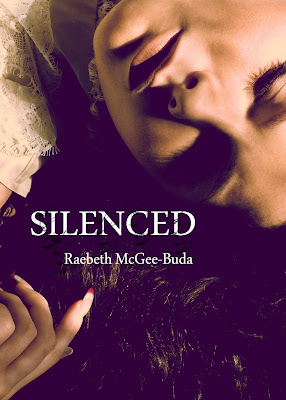 The beginning of Silenced was good. The ending, was good. It's what happened in between that I had a few problems with. First of all, Amber. I felt for her because of her situation and her unrelenting depression, but she acted like a six-year-old for most of the book. She was very immature, but even Raebeth said that she was in her interview with me so maybe that was the point. However, this immaturity kept me from becoming invested in her. All I really wanted her to do was stop whining. Then there is the insta-love between Amber and Landon. It didn't work for me. They fell in love in like 24 hours and were sleeping together in 48. I can't get with that. Yeah, I'm sure there are teens in real life who move this fast, but the majority do not. On top of that, Landon is perfect. He doesn't have any flaws. He's just not a realistic guy. In a fantasy setting, this might fly. But in a contemporary it just doesn't work for me. Overall, Silenced was a decent read. I really wished the characters had been more fleshed-out and that Amber and Landon's relationship had moved slower, but I'm kind of interested in what happens next. Especially with that ending. Cliffhanger!